Lot 6498, Batu 5 3/4, Lorong Haji Abdul Manan, 42100 Klang, Selangor, Malaysia. We started as a new company by becoming independent from Hitachi, Ltd. in April 2002. Starting from over 100 years of motor-related business, we work widely, in the industrial electrical machinery eld that supports craftsmanship, and in the infrastructure business that supports society and everyday life. Putting our advanced technical strength and long experience to work, we have always striven to provide the products and systems our customers need. The products we have provided to the world are now strongly supported by our customers worldwide. We are actively engaged in expanding our global sales and service systems, to meet extensive expectations. Under our corporate principles of 情・創・技・活・夢(Information or emotion, Creation, Technique, Life or Active, Dreams), we carry on striving to realize our dreams by working for a “broad outlook, high sensitivity, acute senses, and quick responses” . As a group of professionals with “internationally competitive craftsmanship” , each of us faces our customers sincerely as we contribute to their progress, aiming to deliver maximum value. 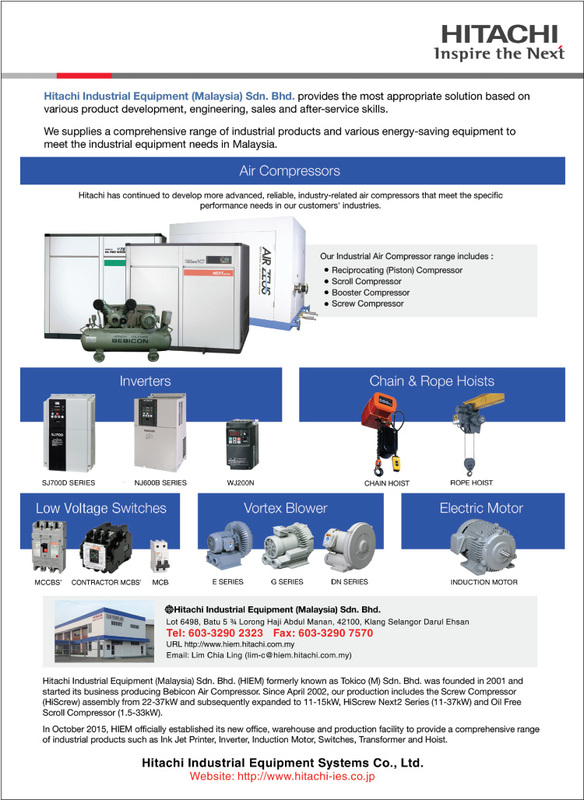 Hitachi Industrial Equipment Systems Co., Ltd. aims to be a company you can trust, and you can expect great things from us. Copyright © 2004 - 2019 Infopages Media Sdn. Bhd. All Rights Reserved.